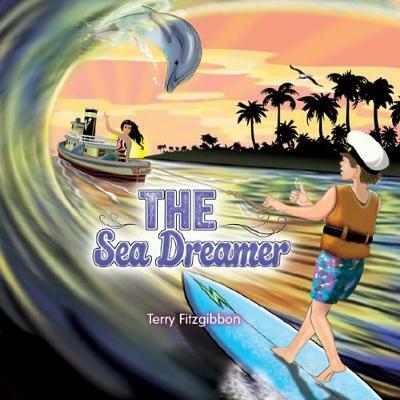 Join the thrilling adventures of Sam and his companions as they set out for a sea dream journey of surprises. In his dream, Sam and his companion Pania take to sea in the tug- boat Wakato, along the way braving a storm, encountering orcas, deep-sea squid, polar bears, sharks and ... read full description below. Join the thrilling adventures of Sam and his companions as they set out for a sea dream journey of surprises. In his dream, Sam and his companion Pania take to sea in the tug- boat Wakato, along the way braving a storm, encountering orcas, deep-sea squid, polar bears, sharks and whales. They rescue marine life from a huge net, play with dolphins, explore a coral reef, clean up plastic refuse and meet albatrosses, learning many important and interesting facts about the oceans and marine life along the way. Award-winner illustrator/photographer and author Terry Fitzgibbons lives on a bush-clad farm on the beautiful northern coastline of New Zealand. Terry is passionate about nature and has always strived to ensure Aotearoa's extraordinary native wildlife and habitats survive in today's challenging world. He has illustrated more than 20 books, and this is the sixth book he has written and illustrated. New Holland has published two books he has illustrated - Gentle Giant Wetapunga and Karearea Fearless Falcon. Award-winner illustrator/photographer and author Terry Fitzgibbons lives on a bush-clad farm on the beautiful northern coastline of New Zealand. Terry is passionate about nature and has always strived to ensure Aotearoa's extraordinary native wildlife and habitats survive in today's challenging world. He has illustrated more than 20 books, and this is the sixth book he has written and illustrated. New Holland has published two books he has illustrated - Gentle Giant Wetapunga and Karearea Fearless Falcon.